The Birds and the Bees represents the common idiom playfully used to describe the ways of human nature. The "birds and the bees talk" is generally the event in most children's lives in which the parents explain sexual relationships by referencing easily observed natural events. 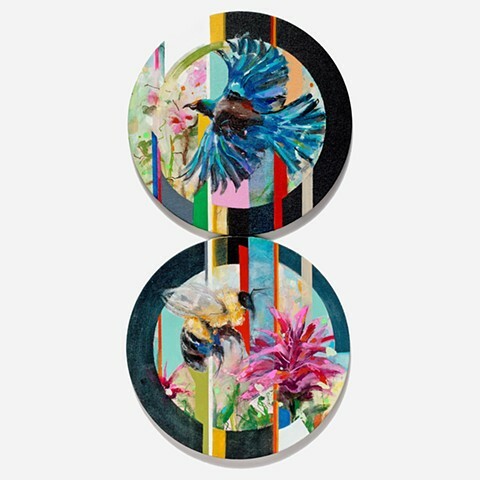 Although each the bird and the bee is represented separately in the painting, they are connected they are bridged together by lines representing their respective part they play in the euphemism and how it relates to humanity.